Highly acclaimed for manufacturing and supplying an extensive assortment of Construction Equipments and Panels, we "Sri Ayyanar Industries" started our operations in the year of 2009. 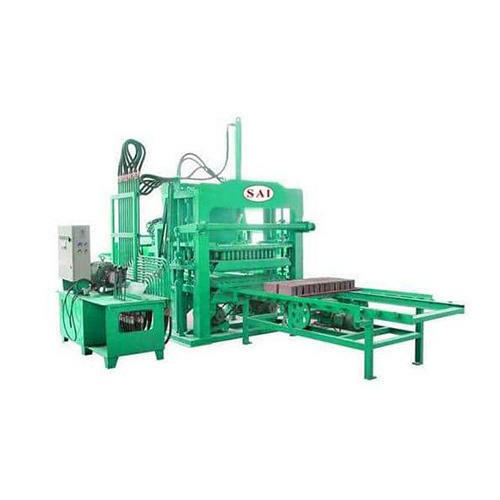 Product collection provided by us includes Pan Mixer, Earth Rammers and Block Making Machine. In addition to this we also offers Hollow Block Machine Control Panel Service. These products are made by using optimum grade components under the supervision of our highly skilled professionals. Offered range is highly admired in the market for their features like excellent finish, easy to use, low maintenance, long service life, and super performance. Offered products are highly useful in construction, electricity transmission and varied other industries. We are offering these products to match the clients' specific needs as per the set industry standards. We assure to our patrons that all these offered products are quality proven by our quality controller team on predefined parameters. Also, we have hired a team of qualified professionals to handle all our business operations. We have chosen every member of our team after analysis of their experience and knowledge. Moreover, our clients can avail these products at budget-friendly prices. To satisfy our clients in an efficient way, offered collections of products are designed according to their need. Our transparent dealings and easy payment modes have placed the organization at the top of success.